Pick up from airport, accommodation in hotel in Prishtina. 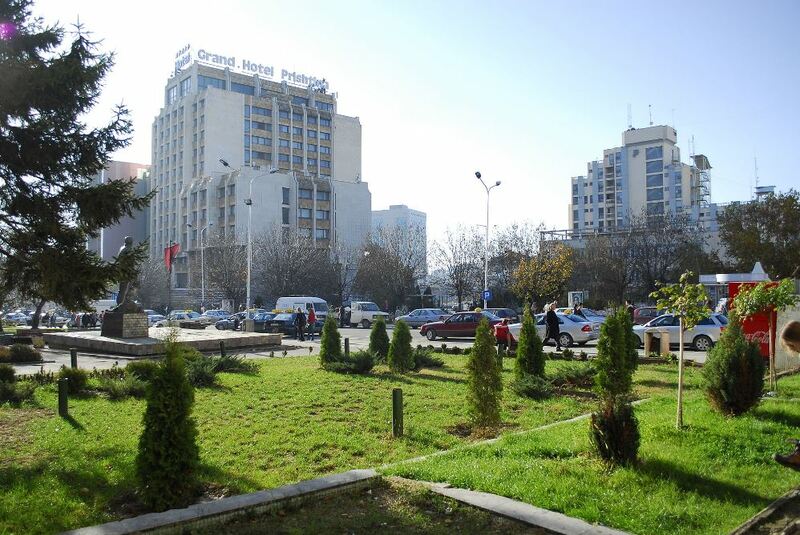 City tour in Pristina. From Pristina we will travel 80 km to the town of Peja for 1h 30 min. 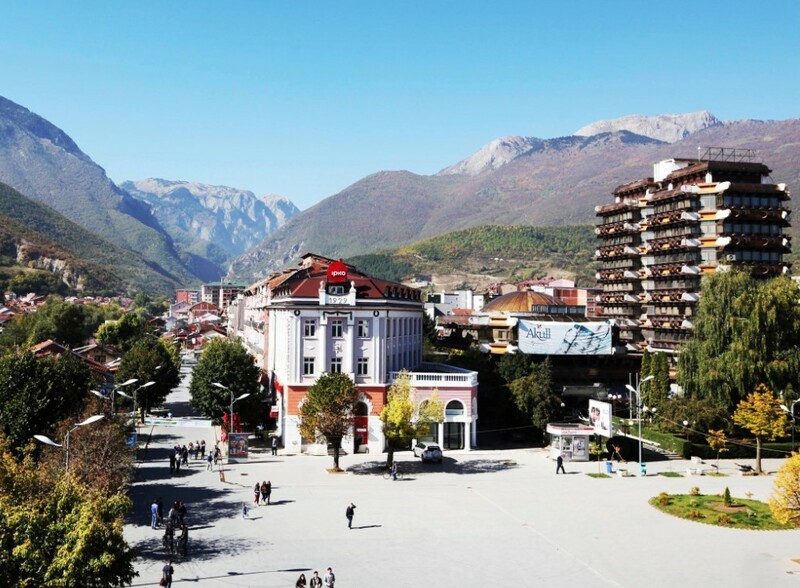 After arrival in Peja we will visit Patriarchate Monastery , then drive on a good road through the spectacular Rugova Gorge, past caves and climbing routes to your idyllically situated in the small mountain village of Reka e Allages ,where we will be accommodated in House “Ariu”. 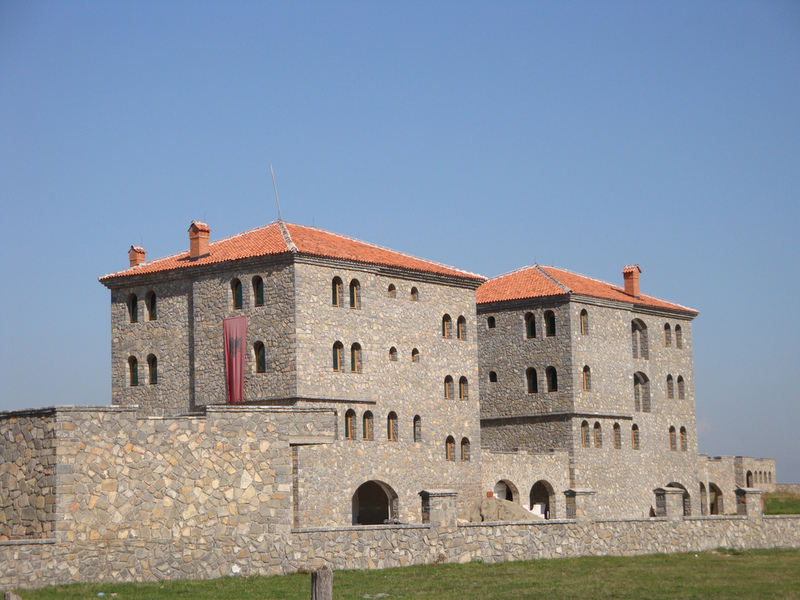 Patriarchate of Peja – built in the early XIII century. 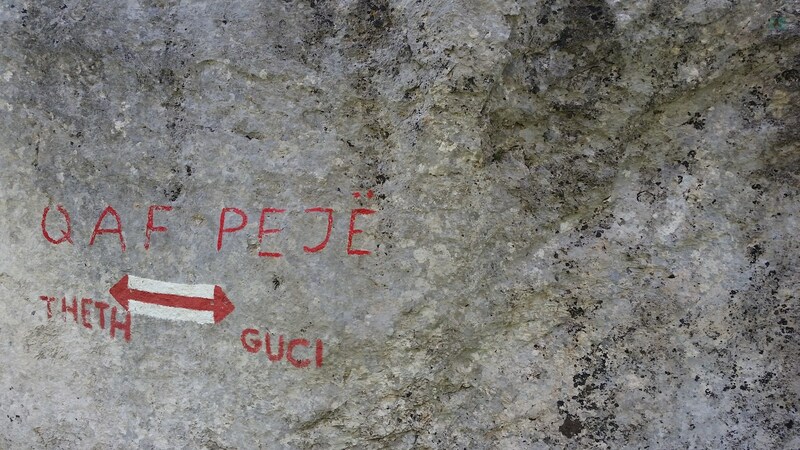 which is located at the entrance of the Rugova Gorge. It is one of the most important monuments of the late Byzantine period in Europe. The four buildings of the facility reflects the ancient Roman-Byzantium culture of a particular style of wall paintings and its frescoes. 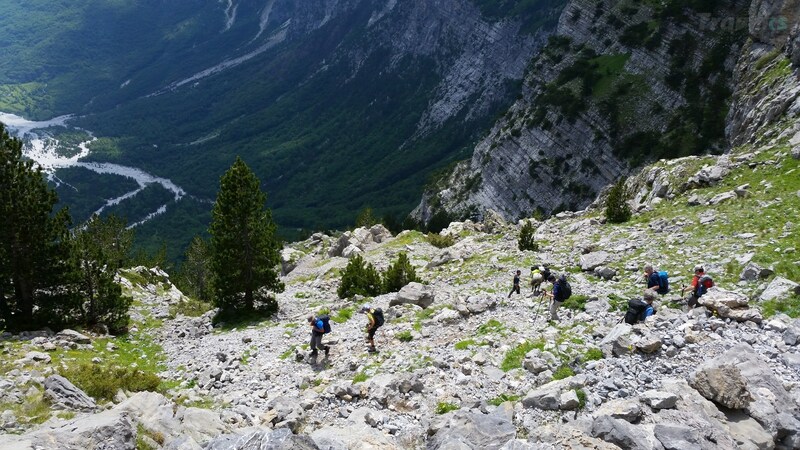 From Reka e Allages we accent through the forest and then our views open towards the mountains of Rugova. 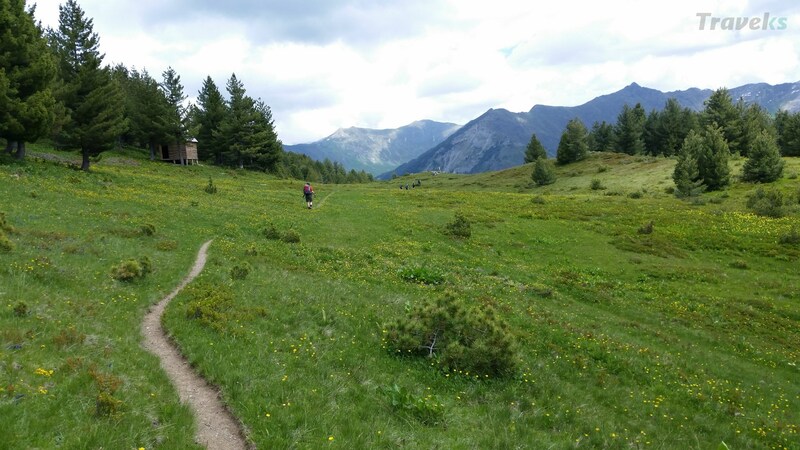 Our trail travels on the foot of Hjala mountain (2403m) and finishes in the villages of Drelaj where we take a short transfer at the next accommodation in Liqenat i Kucishtes. 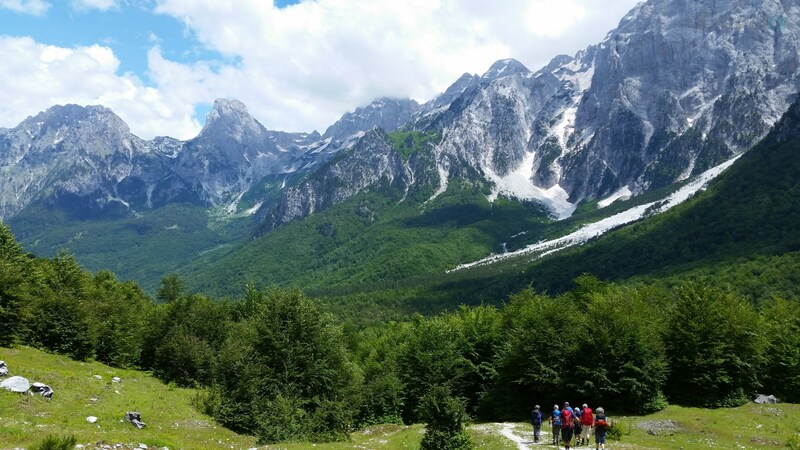 We start the walk directly from our accommodation in Liqenati i Kuqishtes towards the border with Montenegro initially through pine forest and afterwards we reach two beautiful glacial lakes. Our ascends follows to Lugu i Shkodres pass, the border between to countries and then our walk continues almost level accompanied by beautiful views and blueberry field . The walk ends in village of Babino Polje populated mostly by shepherds in summer time. (Optional) Our minibus takes us at the accommodation in the nearby town of Plav in the lakes shore. 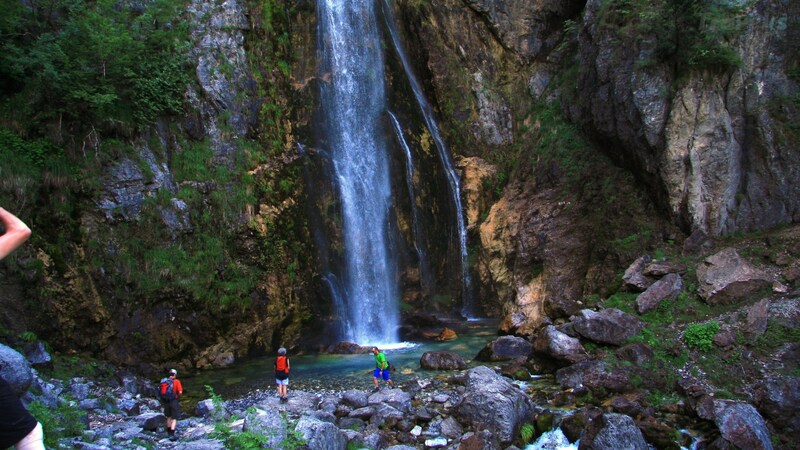 After a short transfer from Plava to the village of Vusanje, we start the hike towards Albania. 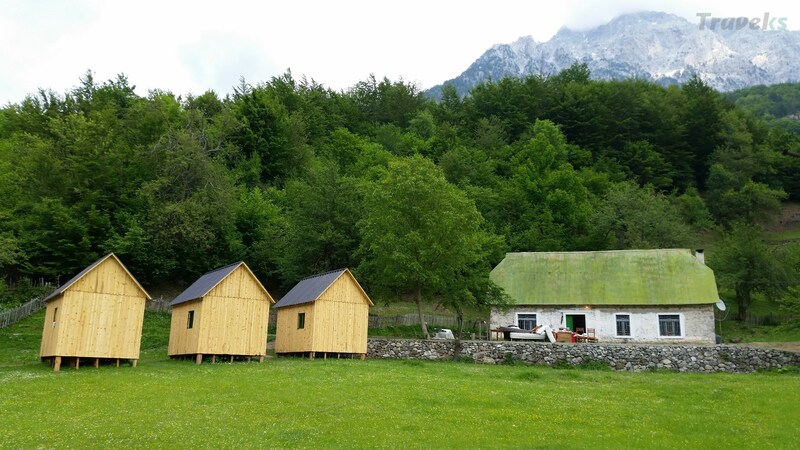 Our walk will take us through beautiful forest and then in the meadows of Ruinica which is full of flowers during June and July and some shepherds populate this place for three months during the summer time. From Qafa e Pejes pass we take a steep descend that zigzags on a mule trail towards the isolated village of Theth (ALB). Accommodation will be in a guesthouse of the village. 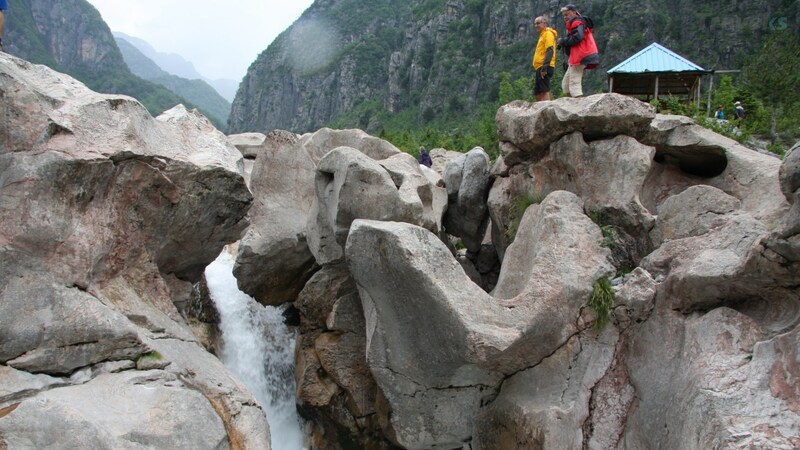 Today we will have an easy itinerary walking in the valley of Theth and visiting the blood tower of the village, waterfall, the nearby Nderlysa village and the blue eye spring. Accommodation in the same family in Theth. Parts of the walk or entire of it can be skipped. 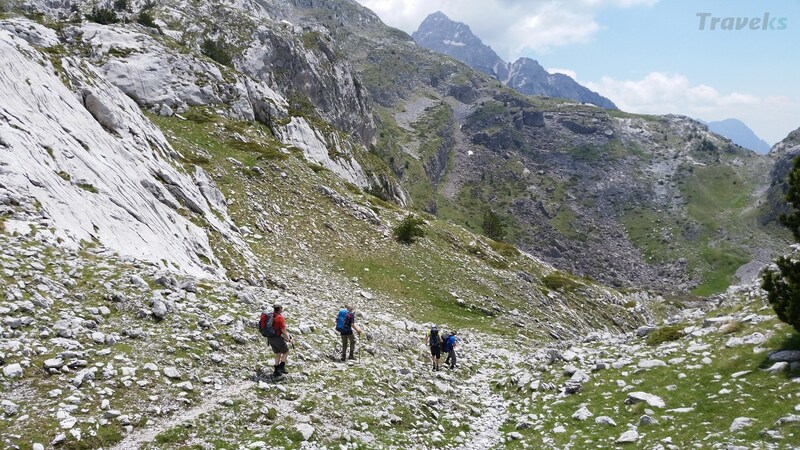 From Theth today we will cross one pass to transfer to another dramatic valley of Albanian Alps. 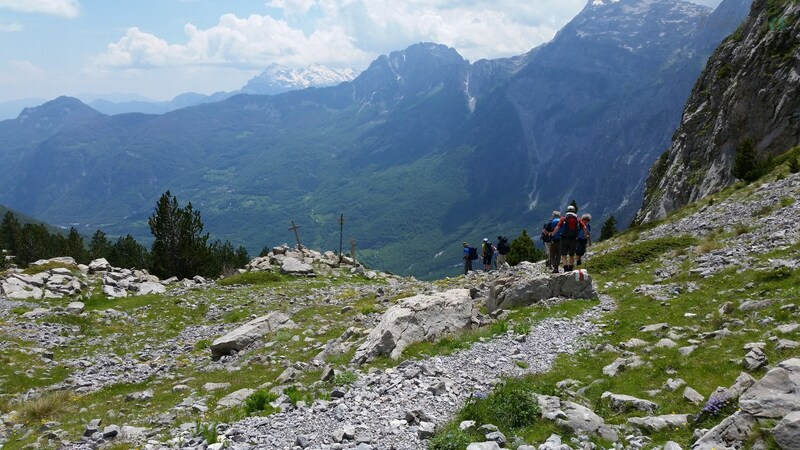 Great views are to be seen in Valbona pass before the descend to the valley. Accommodation will be in one of the families of the village. We will leave the valley of Valbone by minibus to the nearby village of Qerrem where we start the walk towards the summer pasture of Doberdol, where shepherds with their families stay with the sheep for summer time. We will sleep with the shepherds in the remote summer pasture where there is no electricity and mobile network. We will leave the shepherds family today to cross via Trekufi (the mountain in the border triangle between Kosovo, Albania and Montenegro) to Kosovo. In the end of the walk at Stanet e Decanit we will take our minibus to Decani Monastery. After visiting the monastery we will continue to Prizren, to have a city tour. Airport Transfer, Transportation, Accommodation, Breakfast, Lunch, Dinner, Non alcoholic drinks, Guide, Hiking, Entrance fee in monuments. Equipment needed: Mountain shoes, Sneakers, Windbreak jacket, Passport,Money, Backpack 40-50L, Bottle for water , Towel, Sunglasses , Trekking poles, Small professional First Aid Kit, Sun cream and lip salve, Blisters plaster. 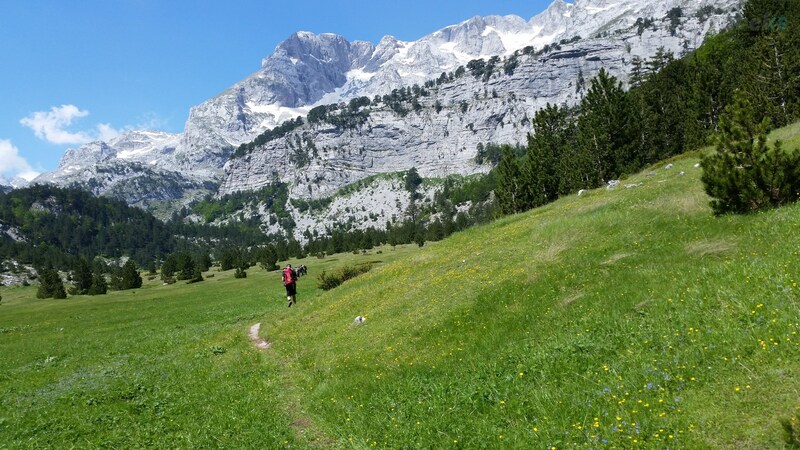 Clothes: Trekking boots-three season/waterproof, Socks, Underwear, T-shirts, Trekking pants, Short trousers, Waterproof jacket, Waterproof trousers, Sun Hat.